Some of what we stripped from the forklift: battery/motor cabling, EV-1 48v controller & manuals, pot box with hi/lo microswitches, two 8 in. pump motors, 12 in. drive motor, 6 in. 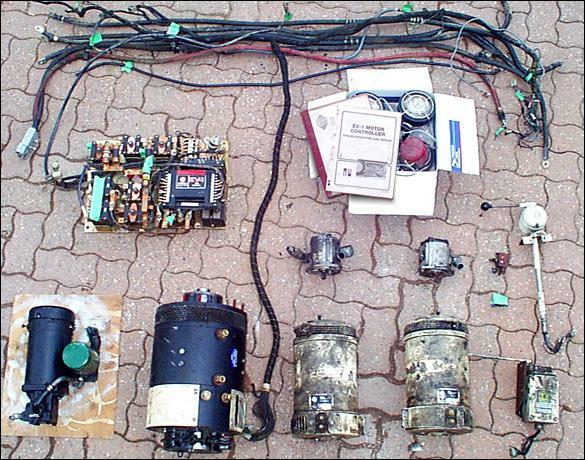 PM pump motor, EV-1 control panel with a bunch of contactors, fuses, etc.